From Comedy Drama to Horror to Action, the timeline of 2018's Hollywood Movies is quite a rollercoaster ride with whole entertainments and amusements. As a matter of fact, most of these 2018's movies were so exceptionally good that we could hardly select the best to fit into our Top 10. Although some of these movies might not be Oscar notable, it still doesn't mean that they were not tremendously enjoyable and worthy. Furthermore, apologies in advance if we couldn't include your favorites. Let's catch up to the list now. Crazy Rich Asians is a romantic drama that reveals the extravagantly rich family of Rachel Chu's boyfriend, Nick, when she goes to Singapore to accompany him at his friend's wedding. Whilst Rachel was previously not known about Nick's wealthy family, now she also has to deal with the jealous socialites and Nick's own disapproving mother of their relationship. Join Winnie the @Pooh and friends for a new adventure before #ChristopherRobin leaves theaters! Get your tickets now in bio. The movie Christopher Robin surely did bring our childhood back. The Disney movie follows the story of Christopher Robin when he gets a surprise visit from his childhood friend Winnie-the-Pooh. The adventures of Pooh helping Christopher find the joys in his life again, along with his other friends are too adorable and clearly won our heart. BlacKkKlansman is based on a real event that happened in the early 1970s. Ron Stallworth, who becomes the first African-American police officer to serve in the Colorado Springs Police Department is prepared to prove himself following a dangerous mission, and certainly also becomes successful at exposing the extremist hate group; Ku Klux Klan. The movie overall made us laugh but also made us cry at the end. Hold on tight. Mission: Impossible Fallout is on Digital this Thanksgiving. Action movie Mission: Impossible - Fallout is our next favorite film from 2018. The fantastically thrilling film possesses everything that an action film has to offer. Shout out to Tom Cruise as well for once again doing his job excellently in the film. One critical choice will change the lives of everyone on this train. From the director of The Shallows and Non-Stop, watch the new FINAL trailer for #TheCommuter starring Liam Neeson - Arriving in select @IMAX.movies theatres January 12. The story follows Michael MacCauley played by Liam Neeson who is an insurance salesman and an ex-cop whose daily commute ride turns into a strange one full of suspense and thriller when acquainted with a mysterious woman (Vera Farmiga) and that also ends up risking his family and all of the passenger's life in the train. It’s #BlackFriday! Be a hero and bring home #Incredibles2 at a great low price for a limited time only. BUY NOW: Link in bio. The superheroes family are once again back in Incredibles 2; AKA the most anticipated movie in the last few years. This time again, the heroic family being unaware of the developing superpower of the baby Jack faces a challenge together when a new villain strikes with an evil plot. One of the greatest films that 2018 produced is definitely A Star Is Born, which is also the 10th most successful film of 2018. The film features Pop singer Lady Gaga as one of the main characters who play the role of Ally. Ally is basically a struggling singer, who has given up on her dream to become successful until she is discovered by musician Jackson Maine who also instantly falls in love with her. The most thrilling and horrifying movie of 2018. The story follows a family struggling to survive by living in silence to save them from creatures existing around them, who are blind but have a high hearing capacity. The movie based on the real life of famous Rock n Roll band; Queen is definitely spotting on our number two. The movie that mainly focuses on the life of Freddie Mercury and his battle with Aids, and the successes he conquers along with his bandmates. The realistic portraits of everything in the movie have left us speechless. 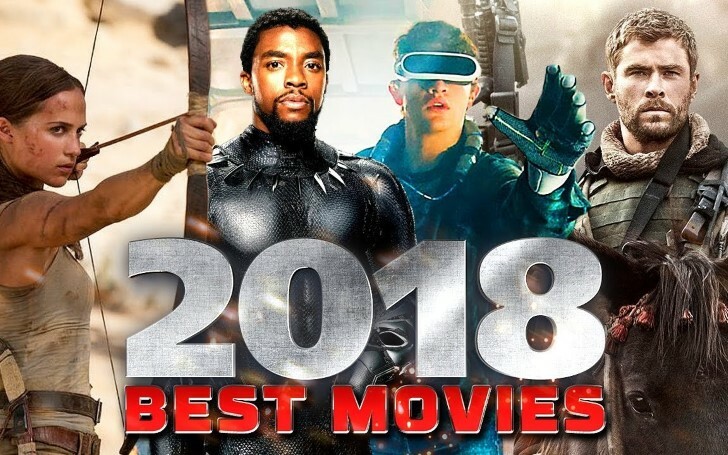 Probably one of Stan Lee's last movies; Avengers: Infinity War is our number one movie from 2018. The villain Thanos is on his mission to collect all the six Infinity Stones to become the most powerful being in the universe. The Marvel heroes such as Hulk, Iron Man, Spider-Man, and Thor along with other heroes fight to stop him, but miserably fails and leads Thanos to gain what he wants. What happens afterward, and how Thanos can be stopped from destroying the other planets can be only known in its next series. And, that's something we are really really looking forward to and waiting for.